Bailieborough News. March 12th 2018. Matthew J. Cullen. The Annual St. Patrick’s Day Parade in the town will take place on Saturday next, 17th March. The Parade will commence at 2.30pm. This year there will be €1,500 in prizes, prizes for best club, comedy, business, and window display. In an effort to invigorate the parade in our town, we are looking for more help and ideas from you all, we are proposing a special category for clubs in the area with a prize of €500 for best club float or pageant. We’d really appreciate all businesses big or small to put in a float (all entered free). Any ideas please get in touch with any committee member. Also we will need stewards to help on the day for a few hours. Please contact 0868222155 or 0862836157 or any committee member for more information. Floats will have free entry. All help and ideas welcome. Confirmation took place in St. Anne’s on Sunday last, March 11th. Monsignor Liam Kelly, Vicar General of Kilmore Diocese, administered Confirmation to the children from the local schools on a mild, bright Sunday afternoon. Lotto results for 06-03-2018. Numbers Drawn; 15, 16, 18, 20. No Jackpot Winner, Lucky Dip (€25) Winners; Carmel O’Callaghan, Nolagh; Lorraine O’Halloran; Paul and Wendy Heerey, Corner Manor; Conor O’Reilly. Jackpot next week, €1,900. Lotto results for 10-03-2018. Numbers Drawn; 01, 08, 11, 13. No Jackpot Winner, Lucky Dip (€25) Winners; Sean Kelleher; Mark McCabe, c/o Florrie; Ciaran Guckian; Michelle Clarke. Jackpot next week, €2,000. A ‘Reconciliation Service for Easter’ will take place in St. Anne’s Church, Bailieborough on Sunday, March 25th (Passion Sunday) at 7.00pm. Confessions will be heard by the Priests of the Pastoral Area as part of a Scripture Service. Confessions will also take place in St. Anne’s, Bailieborough on Holy Saturday, March 31st from 12 noon to 3.00pm. Deepest Sympathy is extended to nephew Tony, niece-in-law Margaret, grandnephew, grandnieces, cousins and friends on the death of Monica M. Carolan (28 Cloverhill, Bailieborough, Co. Cavan and formerly 11 Hillside, Monaghan) who passed away peacefully on Sunday, March 4th, in the excellent care of the staff of Fairlawns Nursing Home, Bailieborough, in her 97th year. Monica’s Funeral Mass took place on Friday, March 9th in St. Anne’s Church, Bailieborough followed by burial in St. Anne’s Cemetery. Sam Geraghty (Singer/Songwriter), Dave Hynes (Comedy/Poetry) and Pine the Pilcrow (Indie/folk Band). We’re sure to be in for a great night’s entertainment. All welcome. A motorcycle run will take place on Sunday next, March 18th in aid of raising funds for ‘The Family Comfort Room’ in St. James’s Hospital, Dublin. This run is in memory of the late, Niamh Crosby, Curkish, Bailieborough. Registration will take place from 10.00am to 12 noon, with a 12.15pm start at Enagh House (located approx. 2kms from Virginia on the Virginia—Bailieborough Road). The run distance is 55miles and the entry fee is €20. All bikes are welcome and light refreshments will be served before and after. For further information, please contact: Peter at 087 0910 345 or Brendan, 087 225 8944. Supported by Kangleys 32 County Honda Challenge Club. Mullagh 9:30am – All-Age Service. Shercock 9:30am – Morning Prayer. Monday 19 March: Messy Church – 2-4pm in Bailieborough Hall. A new term of Ceilí dance classes will begin on Wednesday, 14th of March, at 8:45pm in Tierworker Hall. All new-comers welcome. For more information please contact Aishling Fox on (087) 9699235. Dr. Gary Pennington, Professor Emeritus at the University of British Columbia in Canada is undertaking an ambitious research project called ‘Childhood Memories’. For several years they have been collecting stories from people around the world about their play experiences as children. The goal is to compile a broad database of information about children’s play that will be useful to people in many fields. Plans are to make the results of the study available in book form and on the internet. It is an ambitious effort to chronicle the play of youth over many generations and in different cultures. While they have thousands of stories from people around the world, as yet they have very few from Ireland. To enhance their work, they would like to have many stories of childhood from the Emerald Isle, particularly from our seniors. They invite the Irish public to participate in the project. In addition to contributing to the study they believe that there are significant personal benefits to people who participate. They encourage respondents to make a copy of their completed form as part of a family history record. They have also found that once people have written their stories that small gatherings to share experiences are very rewarding. Gary Pennington is from Canada with Mulligan Irish ancestors on his late mother’s side. One of his ancestors is buried in Moybologue Old Graveyard and he has attended several blessings of the graves ceremonies in recent years. The Stations of the Cross will take place during Lent immediately after the 7.00pm Mass on Friday, 16th March and 23rd March. The following are the available dates for Baptisms in St. Anne’s Church–March 18th, (Sunday, 12.30pm), April 7th (Saturday, 1.30pm), April 22nd (Sunday, 1.00pm), May 5th (Saturday 1.30pm) and May 20th (Sunday, 12.30pm). Saint Patricks Day Parades; This year, for the very first time, we will partake in two parades, in Bailieborough, and for the first time, in Kingscourt. We hope as many of our young hurlers will participate, in one or both parades, especially our younger generation. The float is under construction in a secret location. All will be revealed on St. Patricks Day. Confirmation; Confirmation season is with us again and we wish all our hurlers being confirmed and their families a great day. Under 6/8/10; Training indoors away from the elements continues in Kingscourt on Thursday and Bailieborough on Friday. Registration this Thursday 15th March in Kingscourt and Friday16th March in Bailieborough. €15 per player or €25 per family. We hope all our player families register with us. 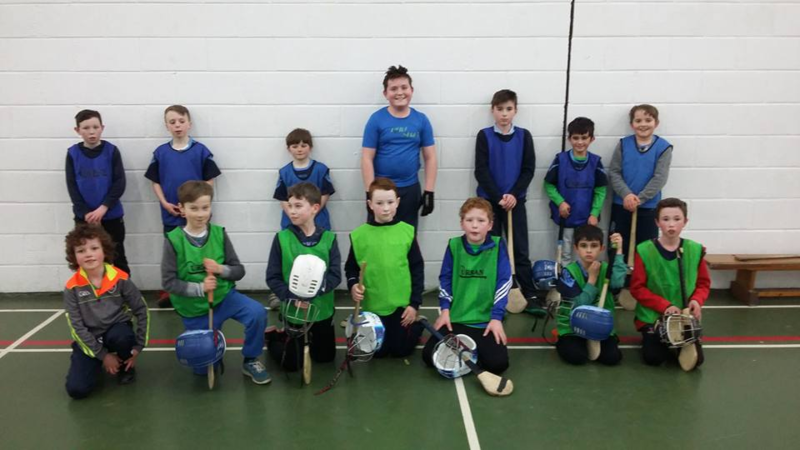 Kingscourt group indoor hurling on Thursday. 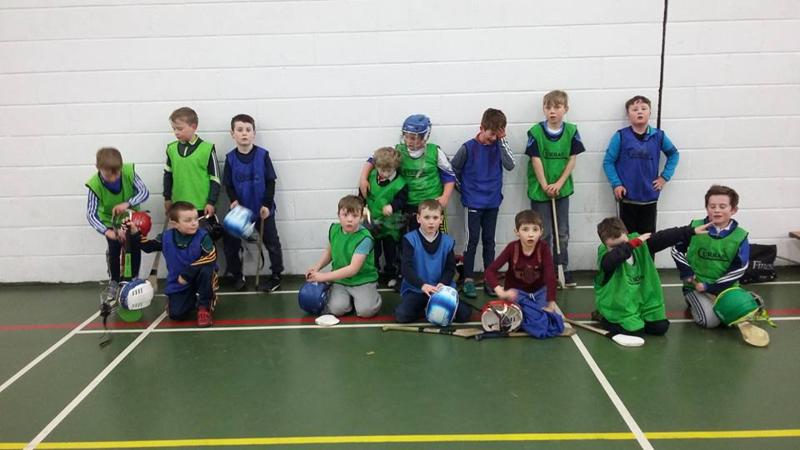 Bailieborough group U6/8 indoor hurling on Friday. 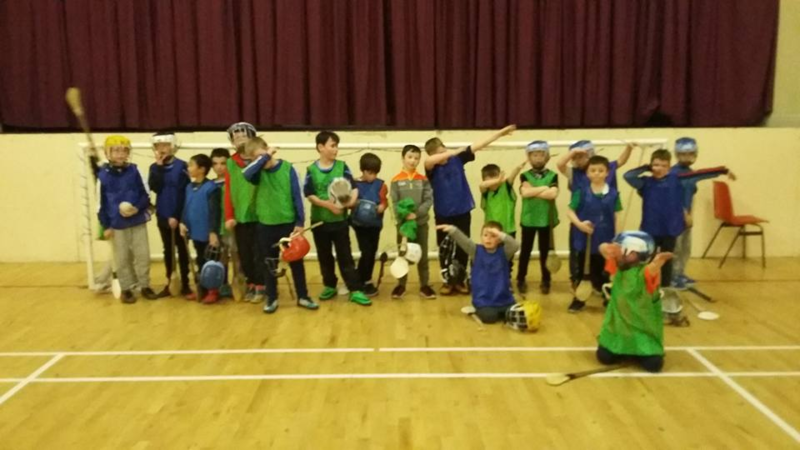 Bailieborough group U10 indoor hurling on Friday. Under 17; Cavan Celtic challenge squad training Monday in Breffni Park 6.45 with the competition beginning in early May. Thursday; Kingscourt indoors in the Community Centre U6/8/10 6.45-7.45. €3 each. Friday; Bailieborough indoors at the BCS sports hall U6/8 6-7. U10 7-8. €3 each. http://bailieborough.com/wp-content/uploads/2015/09/bborocomlogo2015-300x130.png 0 0 Lee McDonnell http://bailieborough.com/wp-content/uploads/2015/09/bborocomlogo2015-300x130.png Lee McDonnell2018-03-14 10:51:272018-03-14 10:51:27Bailieborough News. March 12th 2018. Matthew J. Cullen.